20 years ago, Maryanne Shearer had an a tasked herself with the impossible: to convert the acclaimed coffee drinkers of Melbourne to the exotic and enchanting world of tea. With years of expertise in product development and visual merchandising from a career in the fashion, interiors and retail behind her, as well as being an avid tea drinker herself, Maryanne saw she could use her expertise to reinvent tea with a modern edge. In the winter of 1996 she opened the first T2 store in Brunswick Street, Fitzroy. Alongside her business partner Jan O’Connor, the two of them started off planning to open a homewares store, but quickly became disheartened as they realised bigger chains such as Country Road had similar ideas. Over a cup of tea, they stumbled across something that hadn’t been done before, a premium tea retailer. In no time they had a name, business partners and a shop front in a great location. Maryanne’s creativity played a huge part in the look and feel of T2, she wanted the shop to give customers an immersive sensory experience, where they could see, taste, smell and feel the enchantment and magic of tea. Tea is the second most popular beverage in Australia after water, but sales of black tea have been on the decline over the last 30 years. In recent years the downward trend has reversed, with sales and volumes buoyed by demand for speciality, organic, green and herbal teas, which have become popular with a younger demographic. From it’s humble beginnings, T2 encapsulated the idea of discovery and enchantment with it’s bold use of colour, from the array of packages, cups and saucers inside to the iconic orange sign outside. With it’s explosion in popularity, the brand has been taken to new levels through interesting concept stores such as the recently opened T2B in Sydney. Developed in collaboration with Landini Associates, the business of T2B is the sale of tea to take away or drink at the bar, rather than to brew at home. The store takes the values of the brand to new heights, toughening it up where the trademark orange is offset by a simple palette and raw aesthetic; black walls, oxidised steel shelving, an angled mirror ceiling and a huge concrete counter. The shop showcases the brewing of tea in a theatrical way, a science lab of beakers, pipes and tubes entice customers into the process, as well as to design their own blends. As you enter a T2 store, the first thing that hits you is the library of colour cascading the walls. The packaging has been used as an integral part of the interior of each store. The bold T2 logo on the front of each box is a point of consistency, this allows for a huge range of colours and patterns on the boxes, as well as seasonal themes which include unique ceramic pots, cups and saucers. T2 has a very active social media presence, their Instagram feed is a collection of quirky insights, mini campaigns and shots that align the product with high end fashion accessories. Outside of social media, they partner up regularly on new media such as Broadsheet, recently featuring in the 2014 Chai Championship, where a bunch of their employees competed. T2 currently employs over 700 staff in 50 stores Australia wide. 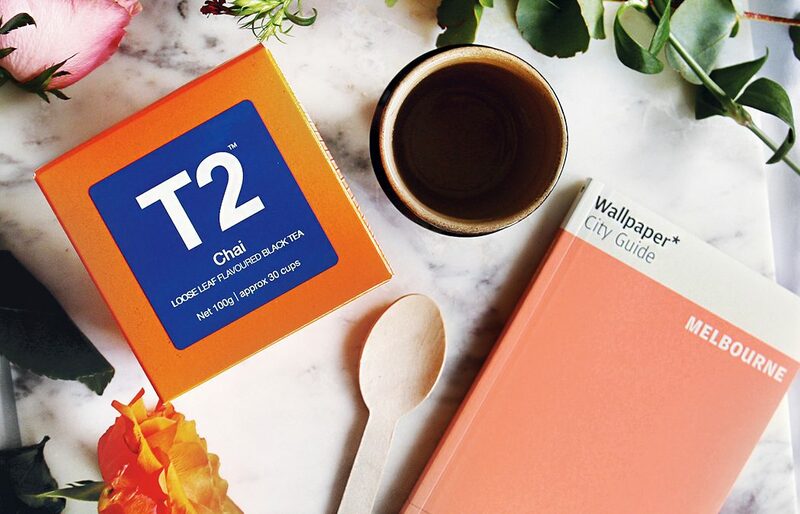 This along with it’s expansion overseas has caught the attention of one consumer products giant, and T2 was recently bought by Unilever for an undisclosed sum. Unilever, who also own Lipton and Bushells, plan to expand the premium tea category and continue the push into new markets. Maryanne will continue on as the managing director to ensure T2’s unique culture and aesthetic remain.